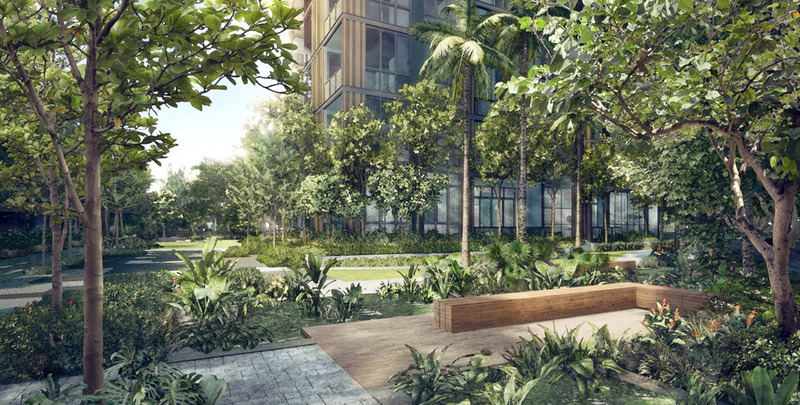 Martin Modern is a new modern style condominium featuring unmatched connectivity indulged with exuberant and vast botanical park within the development. 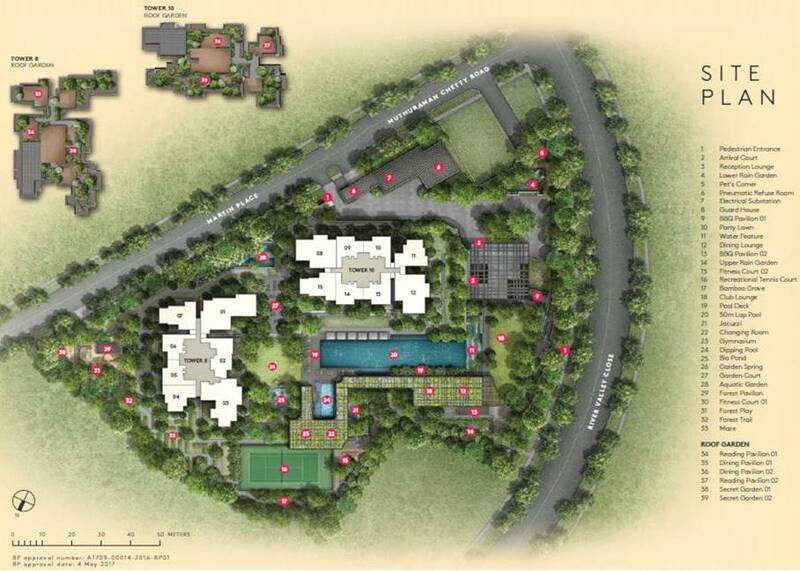 It represents the best of metropolitan living with all excellence choice at its doorstep. Equipped with 15 elegant gardens, comprehensive and practical unit layouts, each with its own gorgeous view, Martin Modern offers the best living experience right in the midst of Singapore's most highly sought after prime residential district. 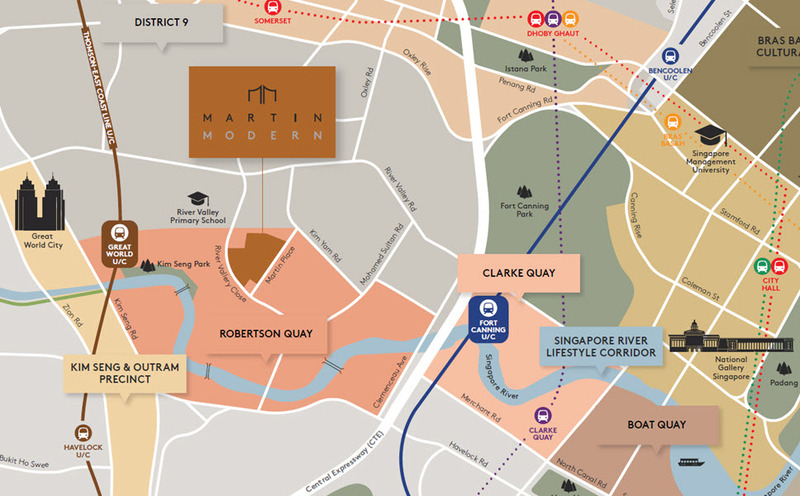 Strategically located on large land size in Singapore district 9, known as the most prime district in Singapore, Martin Modern represents a rare chance to own a piece of Singapore right next to Orchard road, River Valley, and Robertson Quay. In addition, it is also just few minutes drive away from Central Business District (CBD), Chinatown, and Marina Bay. 2 new MRT station (Great World and Fort Canning) will further enhance the value and connectivity of the development. 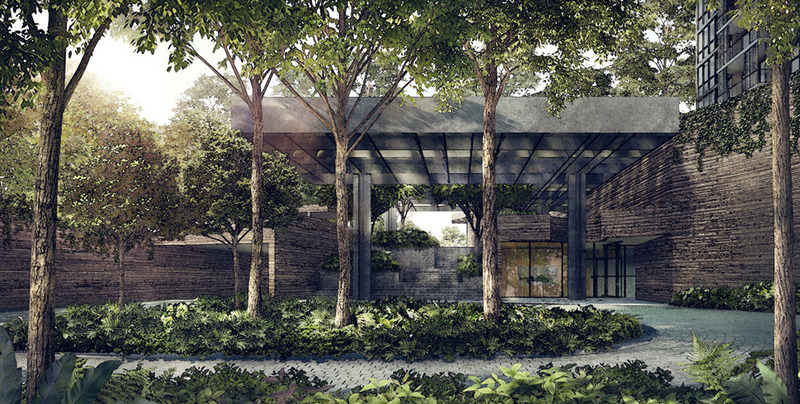 Martin Modern is designed by 4 times President Design Award winning architect Yip Yuen Hong of Ipli Architects. The concept of utilizing 80% of its land area to be developed and beautifully designed into sophisticated botanical garden. the botanical garden will form a beautiful and interesting natural park that will embrace the 2 tower development. Resident and their loved ones will be able to stroll, jog, and do yoga without crowds wihin their private have in the prime district. Martin Modern is located in prime district 9 of Singapore means it is easily connected to most important and interesting places in Singapore such as Orchard road shopping and entertainment hub, Central Business District (CBD), Robertson Quay, Singapore river and Marina Bay. Such prime location comes with convenience, time and cost saving and assurance that property will keep its value well. In term of infrastructure, Martin Modern is well connected with MRT, road, walking path, cycling path as well as river taxi services. Within 5 minutes walking distance, you will reach the upcoming Great World MRT which is connected with Orchard and CBD. In addition, Fort Canning MRT will bring you to Singapore Botanic Gardens and many prestigious schools in Bukit Timah area. Martin Modern follows the Guocoland philosophy of designing from the inside out. Thorough detail is place on providing flexible and practical floor plan that ensures fully efficient used of space bundle with the best and exclusive materials used. With such quality conscious in mind, Martin Modern come with fully marbled toilets, wireless smart home system, concierge services, as well as top branded luxury fittings such as Miele, SMEG, Laufen, and AXOR. These represent superior craftmanship and design to reflect the modern aesthetics and luxrious taste of those who make Martin Modern as their home. Guocoland is public listed company in Singapore and it is also an award winning developer whose the development are identified by quality, creative design and concept. Guocoland headquarter in Singapore has portfolio of residential, hospitality, commercial, retail, and integrated development across the region with total assets amounted to SGD 7.9 billion as at 30 June 2016. 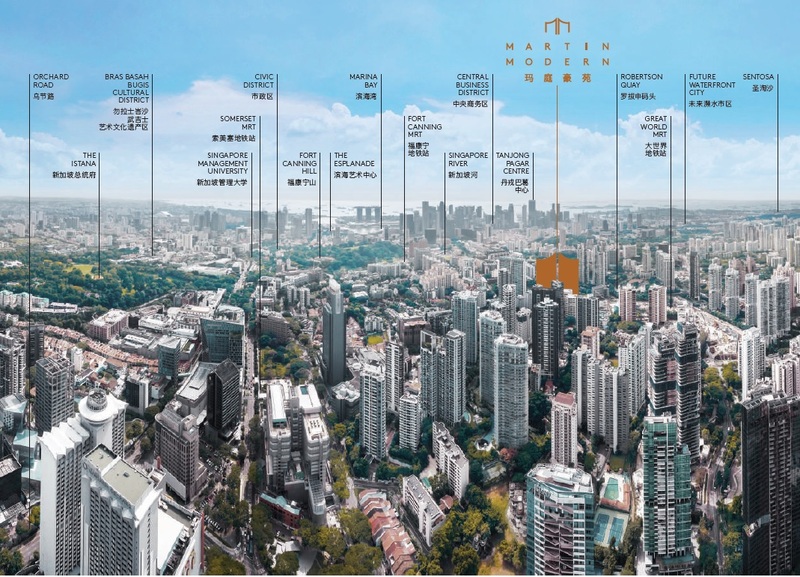 In Singapore, Guocoland has successfully developed and sold 34 residential projects yielding more than 9000 apartments and homes over the last 27 years. The group has won multiple awards both locally as well as internationally in recognition of its portfolio of quality, creative development and commitment to business excellence. Posted in Singapore and tagged district 9, guocoland, martin modern, orchard road, singapore condo.